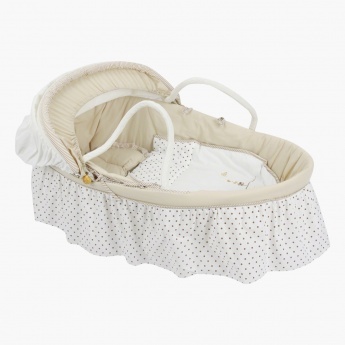 Juniors Baby Carry Cot | Beige | Lightweight for easy carrying. Save AED 150 (60.24%) – Earn 9 Shukrans What is Shukran? Shukran is the Landmark Group’s award-winning loyalty programme in the Middle East, which allows you to earn Shukrans when you shop any of our brands. 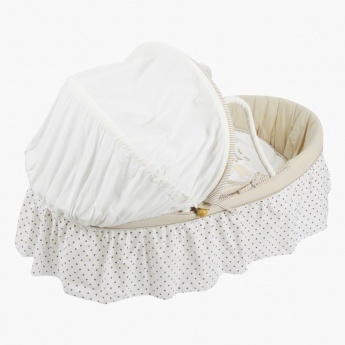 With its comfy liner and lie flat position, this carry cot is ideal for newborns. 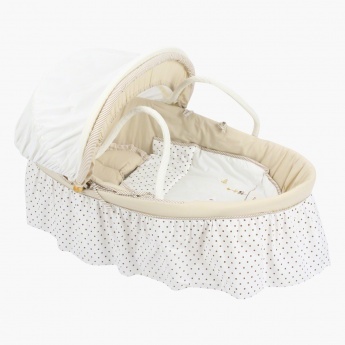 Super soft and comfortable, your infant is sure to enjoy taking a nap cosily tucked inside it. The double handles make it easy to carry around.